Mickey Gilley lyrics and chords are intended for your personal use only. Here you'll find many of your old favorite country songs recorded by Mickey. 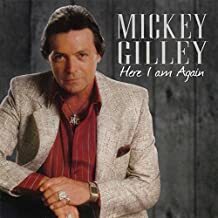 When we hear the song "Room Full of Roses" and "Don't The Girls All Get Prettier At Closing Time" we immediately think of Mickey Gilley. His great music and talent at the piano is a treasure. Low prices on Mickey Gilley Cds and easy to download Mp3s.